If you’re currently on a fat loss diet plan, one thing that you absolutely must be doing at this point is considering the impact that sugar in your diet is going to have on you. Far too many people make the mistake of not taking into account what they are eating – they simply focus on how much and what type of foods. While it is important that you hit your calorie and macronutrient targets for the day, what you’re eating will impact how you feel, function, and your overall state of health. Not to mention this will most influence whether you lose body fat or muscle mass tissue. Sugar is potentially one of the most harmful substances to be taking into your diet plan, so let’s walk you through why this is so that you see exactly why it needs to be avoided. The first big problem with having sugar in your weight loss diet plan is the fact that as soon as you eat it, it’s going to immediately cause your blood glucose levels to soar, which then means the pancreas will release a large dose of insulin to try and control this. 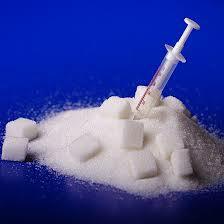 Insulin’s job is to move that glucose into storage and return blood sugar levels back down to a healthy range. The more sugar you eat, the more you move into storage and unless you have just finished an intense workout session, that storage will be your body fat cells. Next, another big issue with having too much sugar in the diet is the fact that sugar is going to be completely nutritionally devoid. You’ll be eating calories that aren’t going to offer any sort of positive benefits to the body nutritionally speaking, so this means you then risk falling short in the nutrients that you need. You want to be filling your diet full of foods that are as nutritionally rich as possible, containing plenty of vitamins and minerals that will keep you in top health shape. The more sugar enters the picture, the less those healthy foods you need will be there. Finally, the last reason that sugar has a very toxic effect on your diet plan is because of the fact that it’s only going to prompt you to consume more and more calories. Those who are eating a load of sugar in their diet will find that they are constantly desiring more sugar-laden foods, partly because they are aiming to bring their blood glucose levels back up after the drop, but also because they have developed a taste for sugar rich foods. So there you have the main issues with having sugar in your diet plan. If you want to see the greatest rate of success, you’ll want to be sure that you are removing this nutrient as best as possible. Make sure that you are also on the lookout for hidden sources of sugar in your diet as well as often it sneaks in places that you aren’t quite aware of. Think All Meat Is The Same? The IMPORTANCE OF EATING PASTURE RAISED GRASS raised animals. Why it’s vitally important to eat animals that are raised on their natural environment. Cows, chickens and most domestic farm animals are naturally pastured animals that will graze, roam and generally eat grass and other things all day. Their stomachs are not designed handle or process any significant amount of corn much less the exorbitant amounts they are being fed in the factory feed lots. All of this excess corn, soy and waste from chicken houses creates a wealth of unhealthy problems for the cows and in the end the health problems are passed on to the consumer. Just like the human species grains are a relatively new food to farm animals, and do to the newness of grains just as in humans, grains create a wealth of problems in farm animals most of which will cause gastrointestinal disorders, make them excessively fat which will lead to the animals becoming less and less mobile. This in turn leads to the animals using less and less of their muscle tissue, taking the animals we eat further from their natural habits not to mention the atrocious living conditions these factory farm raised animals endure before they are butchered. The biggest problem with feeding cows grains and soy is that it leads to very highly unbalanced ratio of Omega 6 to Omega 3 ratios; this unhealthy ratio creates high levels of chronic inflammation in the human body. This chronic inflammation will lead to Allergies, Asthma, Diabetes, Digestive disorders such as Lupus, Chron’s disease and Irritable Bowel Syndrome, Fibromyalgia, Heart Disease through and swelling in the vascular system, Hormonal Imbalances, and Osteoporosis by creating a net acid base in the blood and/or urine. So what should you as a consumer do to protect your health and the health of your loved ones? Well other than hug and kiss everyone you love, consuming animals that are raised in their natural environment is a great place to start. Making an effort in finding what your food had been fed and where it is coming from will make a world of difference for your own health and longevity. Buying your food from farmers markets, food co-ops and local farms is a great place to start to increase your own body composition as well as increase your hormonal responses and immune function. Looking to lose weight ? Tired of seeing so-so results? If you feel like you’re doing everything right, but yet still have not received the results that you were hoping for with your fat loss program plan, it’s time to do a quick evaluation. In some cases, you could be making just one or two small errors that are completely costing you the success that you should be seeing. Unless you learn how to correct those errors, mediocre results will be the name of your game. Let’s go over four diet mistakes that you could be making that you need to ensure that you put behind you. The first mistake that many people make is failing to track their calorie intake. They’ve cut out all their sugar, they’ve cut out all their processed foods, and they’ve cut out all their alcohol. While you may be eating healthy, this doesn’t necessarily mean you are eating for fat loss. Remember that you can still gain weight from eating too many healthy foods, which is why calorie tracking is a must. Make sure you’re eating in a calorie deficit for optimal success. Moving along, the next big mistake that some people make is not eating any fats at all. They think if they eat fat, they’ll get fat. That isn’t how things work. Healthy fats can actually speed up your weight loss results because consuming them in your diet can help you achieve greater control over your appetite levels and this can mean that you are able to maintain the lower calorie diet for a longer period of time. Furthermore, healthy fats are necessary for proper function of the body as well as nutrient absorption, so not something that you can do without. The next diet mistake that you may be making as you go about your fat loss program is not eating enough variety. Do you eat the same five meals over and over again? If so, it’s no wonder that you’re bored. Try changing it up a bit. Start experiencing with healthy foods and see what else you can come up with. Create a new recipe once per week so that food boredom isn’t going to destroy your diet plan. Finally, the last error that way too many people make as they go about their approach is not refeeding at all. Refeeding is the process of temporarily raising your calories back up to maintenance level or slightly higher to kick-start your metabolism again. As you continue to diet, your metabolism is slowly going to start to slow down with time and eventually, it may become so slow no further weight loss is seen. A good refeed can get your right back on track again since when you return to the diet after it’s completely, you’ll start burning up fat faster again. So look over your current fat loss approach. Are you making any of these errors? If so, it’s time to get some changes made. High intensity interval training, also known by the acronym “HIIT” is one of my favorite types of workouts. I grew up as a basketball player and started doing plyometrics and forms of high intensity interval training in high school. It wasn’t until years later that I learned the amazing science behind HIIT, and the potential it had to transform my physique. Due to the extreme intensity of High intensity interval training, your body reacts in a much different way than it would when compared to moderate intensity cardio such as jogging or swimming. When you are performing High intensity interval training, you are working out your other kind of muscle fibers known as “Fast twitch” muscle fibers. This is where the fat burning is really stimulated. Your fast twitch muscle fibers are used for explosive activities such as sprinting, jumping, weight lifting, and any other activity done at 100 percent maximum intensity. These fast twitch muscle fibers produce incredibly quick and powerful bursts of energy. So why is this so important? Let me explain. When you perform a normal cardio session you are only stimulating your slow twitch muscle fibers. These muscle fibers recover from the workout within 1-2 hours after performing the cardio session. When you have a 20-30 minute High intensity interval training workout that stimulates your fast twitch muscle fibers, it can take 24 hours for your body to recover! This means that your body enters what is called EPOC or the after burn. According to exercise science research, “HIIT training increases EPOC (excess post-exercise oxygen consumption) resulting in an elevated fat loss state for up to 24 hours after you finish your workout – something you won’t get from lower intensity exercise. This means that for up to a full day after your workout you are in pure fat burning mode where your metabolism is increased and you are burning more calories at rest. Imagine the potential this has over the course of a few months or even a year! This is why for anyone looking to lose weight at the most efficient clip possible, I highly recommend HIIT over static cardio sessions. Most people assume that the fastest way to lose weight is on a treadmill running at the same speed for a monotonous amount of time. This could not be farther from the truth! HIIT will help stimulate your fat loss and it will make for a much more interesting workout that will keep you motivated. It is not all about the calories burned per workout. HIIT will in fact burn a similar amount of calories per workout as a long moderate to low intensity cardio session. Where the two forms of exercise truly separate are when your body is in recovery. HIIT will burn up to twice as many calories while your body is at rest and over the course of a few weeks to a few months this will results in a major weight loss difference. There are many different ways to perform HIIT such as sprinting, bike riding at max intensity, jumping, lighting weights, kettle bell training, plyometric, etc. High Intensity interval training is a fun and challenging way to burn fat and get in the best shape of your life. So what are you waiting for? If you are looking for a great way to start performing HIIT try running 6-8 sprints at maximum intensity with 1 minute rest in between. This workout will last under 10 minutes and is a great way to stimulate your fast twitch muscle fibers. Try running sprints a few times a week, and you will see some amazing fat loss progress in a short amount of time. If you’re been paying attention to the weight loss information out there, you may have been reading a number of different articles or sources of information about cleansing. Perhaps you’ve even seen a few friends do cleanses and they may have achieved good fat loss results while doing them. But, are they right for you? Are they safe to do? Should you proceed and find your own cleanse to do? Let’s look closer at this issue. 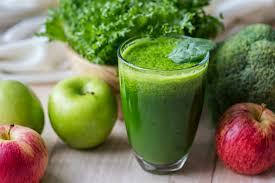 First, it’s vital that you understand what a cleanse is going to aim to do. Basically, when you do a cleanse, you are going to aim to get rid of all the toxic build-up that’s currently in your body that could be influencing the way you feel and function on a day to day basis. The cleanse aims to put you into a much healthier state so that your metabolism speeds up, your body burns fat faster, and you just feel that much healthier. Many cleanses will also promote better health, claiming that they can help to lower your risk of a number of different diseases. By doing them, you are supposed to be positioning yourself for achieving optimal health as well as a healthier body weight. Now, the age-old question – are cleanses healthy? This is going to depend largely on the cleanse you are doing. One thing that you need to know right away is that most cleanses are very low in protein and in order to maintain lean muscle mass, you must be consuming protein. So any cleanse that isn’t rich in protein – as most aren’t – that goes on for more than a few days throws up some serious red flags. While missing your protein requirements for a day or two isn’t the end of the world, do this for a week and you’re going to be in trouble. When seeking out a cleanse, you should be looking for one that has you eating a very wide variety of fresh fruits and vegetables as these foods hold the cleansing powers. Ideally it will also make room for some lean proteins in the diet as well in order to preserve that lean muscle mass and keep your metabolism running along more efficiently. In addition to that, the cleanse should only last 3-7 days (if protein is provided) or 1-2 if protein is not. Any cleanse that goes on longer than this is not one that you want to be doing. If you do decide to go ahead with the cleanse, just note that you will be feeling more fatigued than normal while doing it. This is the natural response the body has to getting in far fewer calories than it’s used to, so it’s important that you focus on resting as much as possible while doing the cleanse. Try not to make your life too busy and make sure that you are sleeping at least 8 hours each night. This will make the entire process move along that much more smoothly. So there you have the key points to know about doing a cleanse. While they can help jumpstart fat loss, they should never be used as a fat loss solution. 1) Grass Fed Organic Beef-grass fed beef is on of the leanest sources of protein available, it contains less calories than corn/grain fed beef and is much much higher in conjugated linoleic acid or “CLA”. Recently in a Finnish study, women who had the highest levels of CLA in their diet, had a 60 percent lower risk of breast cancer than those with the lowest levels of CLA. 2) Avocados-these amazing fruits are packed with over 25 healthy nutrients such as vitamin K, folate, vitamin C and potassium. They also have fantastic anti-inflammatory effects and can be used to assist in combating all types of arthritis. 3) Eggs from free roaming chickens raised in their natural environments-Eggs are an amazing source of lean protein, essential fats as well as choline, selenium, and tryptophan-nutrients that are of vital importance for mood and brain health. 4) Organic Kale-Calorie per Calorie this may be the best food on the planet for you. Kale is extremely low in calories and is high in fiber, vitamins A,C, K as well as calcium. It is a great detox food and is very high in antioxidants and anti-inflammatory effects. Kale has more iron than grass fed beef per serving size. 5) Fish oil-Now we all know and have heard how healthy fish can be in providing omega 3s to our diets. Omega-3s are essential for your brain as well. People with a diet rich in omega-3s are less likely to be afflicted with depression, schizophrenia, attention deficit disorder (hyperactivity), or Alzheimer's disease. However even with our best efforts to consume healthy wild caught fish, sometimes our best efforts can even come up short. My advice is to take 2 teaspoons of the strongerfasterhealthier.com brand fish oil, which will aid your body in decreasing inflammation as well as improve brain function. 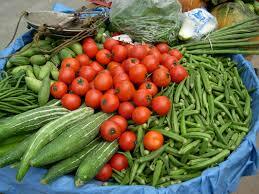 6) Winter squash such as acorn, butternut, spaghetti etc…. All types of squash are a brilliant source of Vitamin C, potassium, magnesium, fiber, folate, iron, and phosphorus. Squash has also been shown to be helpful in cancer prevention, as well as heart, eye, colon, prostate and bone health. For these reasons I believe some type of squash can be included nearly every day into our diets. 7) Free Range Organic Fowl-Chicken and turkey are some of the leanest sources of protein we can find which makes it a staple for any fat loss diet. These meats are also rich in niacin a vitamin that is essential for fighting cancer, along with tryptophan and B6, two nutrients that aid in sleep and stress reduction. 8) Organic Virgin Coconut Oil- Similar to fish oil the benefits of coconut oil cannot simply be summed up in a few sentences but for god measure I will name a few. The health benefits of coconut oil include improved hair and skin health, stress relief, maintaining cholesterol levels, weight loss, increased immunity, proper digestion and metabolism, relief from kidney problems, heart diseases, high blood pressure, managing diabets, dental health, and bone strength. These benefits of oil can be attributed to the presence of lauric acid, capric acid and caprylic acid, and its properties such as antimicrobial, antioxidant, antifungal, antibacterial and soothing properties. Simply put just eat it, and eat it everyday, be sure the oil you buy is cold pressed. 9) Organic extra virgin olive oil-In my opinion this healthy oil is second only to virgin coconut oil, and should be consumed nearly everyday. Its health benefits have shown to reduce cholesterol, and oxidative damage as well as decrease inflammation in the body and has also been used as a digestive aid. Organic Extra Virgin Olive Oil should always be kept away from heat and stored in a cool dark place to avoid oxidizing the healthy fats that we aim to take advantage of. 10) Green Tea- Ok so it’s technically not a food, however it has such an mazing amount of health benefits I couldn’t bring myself to leave it out. Some of those benefits include: Increasing “T” cells which strengthen our immune systems, may lower the risk of heart disease, lower blood pressure, aid in weight loss and digestion, and it will also decrease inflammation. Just be sure if you are purchasing it from your local market you are buying pure unsweetened tea as adding the sugar will actually produce a negative health effect. Health One cup of broccoli bolsters the immune system with a large dose of beta-carotene. Trace minerals, such as zinc and selenium, further act to strengthen immune defense actions. 12) Organic Baby Spinach- Similar to Kale this low calorie food is packed with positive health benefits, such as increasing metabolism One cup of spinach has nearly 20% of the RDA of dietary fiber, which aids in digestion, prevents constipation, maintains low blood sugar, and curbs overeating, aiding in cancer prevention; Flavonoids -- a phytonutrient with anti-cancer properties abundant in spinach -- have been shown to slow down cell division in human stomach and skin cancer cells. Furthermore, spinach has shown significant protection against the occurrence of aggressive prostate cancer, and one more but certainly not all of them is the assistance with the removal of internal inflammatory conditions such as arthritis and CVD. Maybe not an everyday food but certainly a few times a week. 13) Goji berries-Goji berries are one of the most nutrient rich foods on the planet, containing over 20 trace minerals and vitamins including zinc, iron, phosphorous, riboflavin, vitamin E, and other carotenoids. All of these vitamins and minerals along with their high anti-aging anti-oxidant properties may help prevent cancer and other illnesses such as heart disease, immune dysfunction and pre-mature aging. 14) Camu Camu berries- One serving of Camu Camu berries contain 30-60 times as much vitamin C as a whole orange does and much less the amount of sugar. As we should all be aware Vitamin C is one of the critical vitamins to keeping our skin and immune system in top functioning order. 15) Chia Seeds-These seeds pack a wonderful punch of, antioxidants and Omega 3 fats, they are a bit hard to mix into any type of shake or meal replacement shake but by way of seeds they are leaps and bounds ahead of the other seed options. So if you are consuming seeds be sure its chia seeds. 15 Foods To Eat Every Week For Optimal Health.